Artists Accessing the Print Studios at NSIT Hornsby. The Gallery, Northern Sydney Institute of TAFE, Hornsby Campus, 2012. 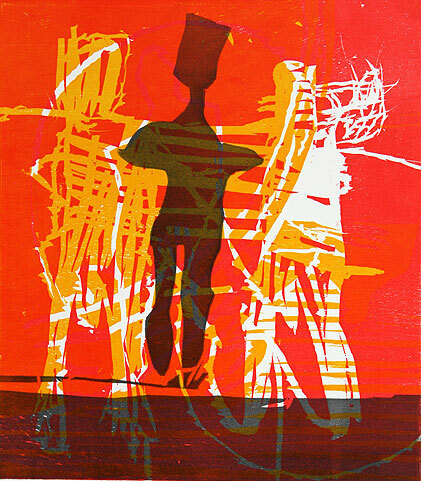 Gods at Play, woodcut print, edition of 20, 29 x 26 cm, 2012.